My fitness journey started 8 years ago with running. I have completed many half marathons, three full marathons (with qualifying for Boston in 2017), several trail runs and a mini triathlon. Wellness is my passion and I became a certified personal trainer in 2014. I am also a fitness nutrition specialist and a weight-loss specialist. I’ve worked with all ages and abilities, from teenagers sports performance enhancement to elderly with disabilities. I will help you along your journey to better health of mind and body. I know the importance of embracing physical activities that can make a big difference in your overall health and fitness. 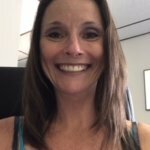 My ultimate goal, always, is to help you help yourself by passing along knowledge, positive energy and type of motivation you need to lead a healthy and active lifestyle. I possess the foundation of skills necessary to teach safe and effective fitness and nutrition, regardless of what level you are at. Determination and commitment is the key to success. Having to grow up in the fitness industry. I had my share of different gyms from working with swim suit models to working with body building there’s no job to tough for me when it comes to getting in shape. If your looking to build any kind of lean muscle or lose weight I can show you the best way possible. “So follow me to a fit, healthier life”. enhancing the well-being of my clients by empowering them with the knowledge, skills, support, guidance and resources to assist and inspire them on their journey to a healthier life. Together we will transform your quality of life through active participation in regular fitness activities and the integration of guided fitness programs, to make your health goals become a reality, in a caring, fun, and dynamic environment. Pamela is a certified Personal Trainer who has a great deal of love for fitness and is totally committed to help others find the passion for health and wellness. 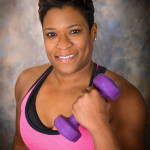 She specializes in ladies personal training, small group training and boot camps. Pamela enjoys personal and group settings as it provides her with the optimum opportunity to spread her philosophy of fitness, love of self, and love of others. She is also more than happy to share her testimony, knowledge of nutrition and physical fitness. Pamela’s goal is to inspire others to indulge in self-care, leading to stronger and healthier lives. She enjoys watching the change in the abilities, strength and confidence in her clients. There is no better enjoyment! She has competed in three bodybuilding competitions and is looking to compete again in 2018. So you would like to transform and live a healthier better life. You’ve probably already tried different things…..have been successful……but then stopped to look and realized you’re just back to where you started. Or maybe you’ve decided to make a change ,but are overwhelmed with the amount of information that is already out there…….you don’t know where to start next. Working together we can determine your fitness goals and develop a plan to get you to where you want to be. I will be Your coach, guide, and enthusiastic motivator every step of the process. I won’t just tell you what to do…..I’ll show you how to better your fitness so that you can confidently take charge and reach your goals. In my career I’ve been involved in the rehabilitation and fitness realm. I’ve worked with everyone from athletes to the elderly to improve fitness, performance, and recovery from injury. No matter your goal…..together we can defy any obstacles in your way to the healthier you! DeAngelo Brown, Former Defensive Tackle for the Tennessee Titans, is experienced and dedicated to weight management and physical fitness. 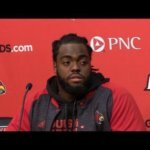 Brown has a Bachelor’s Degree in Exercise Science from the University of Louisville. 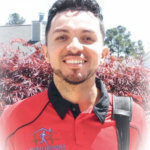 He has certification in Personal Training from the American College of Sports Medicine (ACSM), and CPR/AED from the American red cross. He will provide fitness services that are good in quality and low in cost. 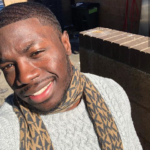 DeAngelo Brown offers commitment and dedication towards health care. Candice Clark, Marine Corps Veteran, found her passion for health, fitness and personal training during her 4 years of service. 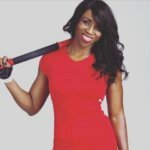 She began her fitness journey during her many years of being an athlete, while participating in various sports that led her to playing Division II College Basketball at Georgia College and State University and ultimately being selected as the 2014 Marine Corps Female Athlete of the Year. She specializes in weight loss, toning, building lean muscle, strength & conditioning, and speed & agility. Sharing her knowledge of fitness and nutrition in order to increase performance and endurance in the work place, the field, at home or on the court is her passion. 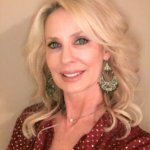 With over 20 years’ experience as a fitness professional Londa has successfully trained over hundreds of clients and maintained excellent client retention and top-notch results in an in-home, apartment/neighborhood fitness centers, gym/health clubs, etc. environments. Londa specializes in weight loss, body sculpting/toning, increasing flexibility, identified health risks, post injury/medical and cosmetic rehabilitation, seniors, and special populations.